Andrey Nemzer (Rinaldo) in Pacific Opera Victoria's production of Rinaldo, 2018. Photo: David Cooper. Baroque opera doesn’t tend to get the air time of most other periods - for every one performance, you’ll see a dozen Puccinis, Mozarts or Verdis. 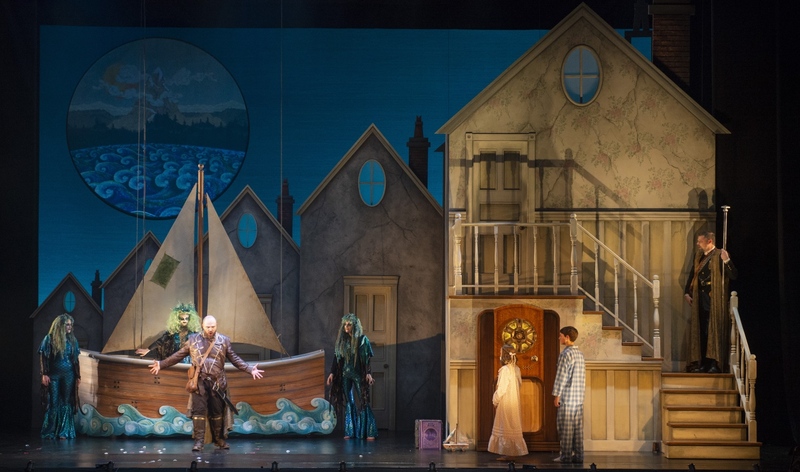 But Pacific Opera Victoria shows the relevance, flexibility, and brilliance of the genre in one of the most innovative, magical productions I’ve ever seen in their current mounting of Rinaldo. In this setting of Rinaldo, the show opens with a soldier heading off to WWII as the mother and children grieve. 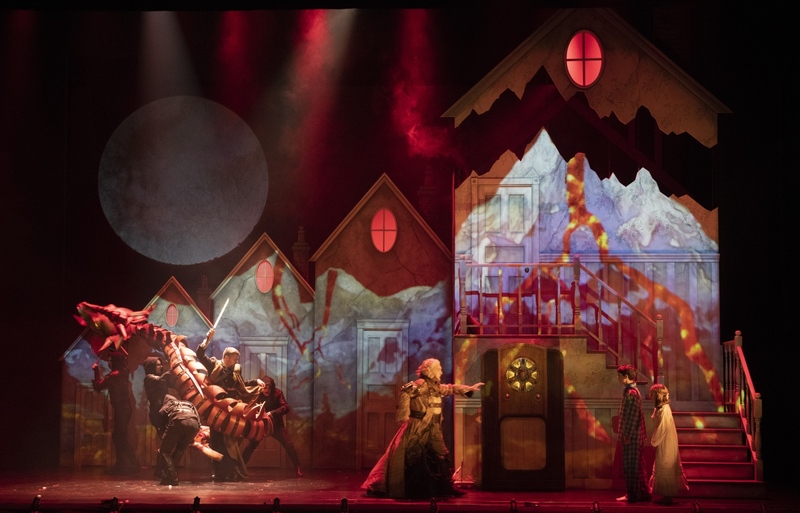 As they fall asleep, the magical characters of Rinaldo are transported into their living room to enact the story to the children’s delight. It’s one part steampunk, one part fantasy movie, one part 50s B-movie, and 100% delightful. 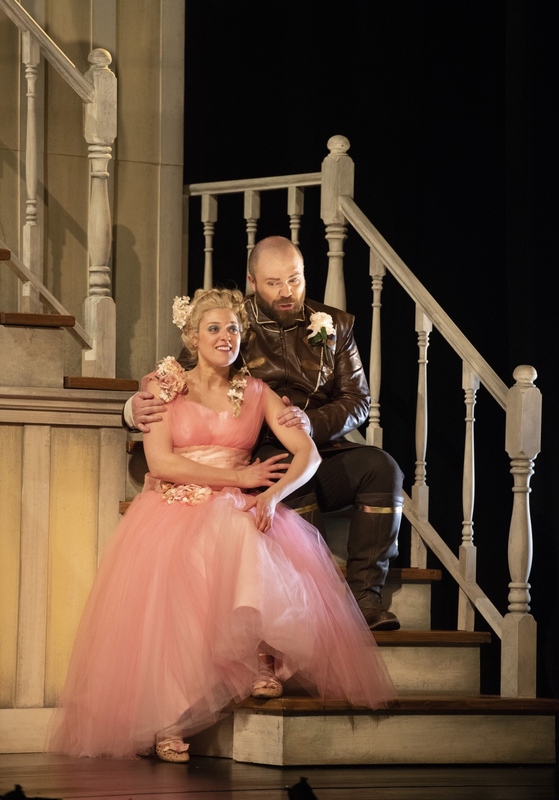 David Trudgen (Goffredo) and Stéphanie Lessard (Almirena) in Pacific Opera Victoria’s production of Rinaldo, April 2018. Photo: David Cooper. Countertenor David Trudgen was lovely as Goffredo - his voice clear and brilliant, and his characterization thoughtful and lovely. Countertenor Andrey Nemzer brought life and a great sense of playful humour to the title character of Rinaldo. His voice was expressive and warm, and, despite a huge number of difficult coloratura lines, he brought great sensitivity to the role, and was technically phenomenal. 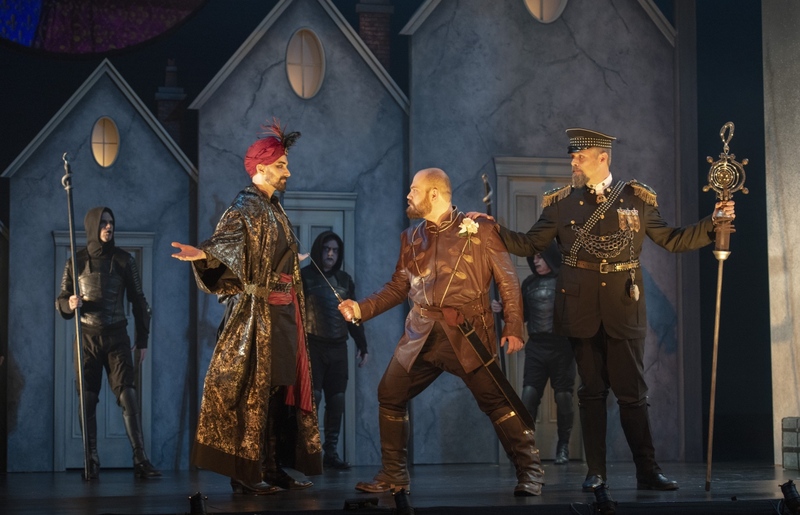 Christopher Dunham (Argante), Andrey Nemzer (Rinaldo), and David Trudgen (Goffredo) in Pacific Opera Victoria’s production of Rinaldo, April 2018. Photo: David Cooper. Soprano Stéphanie Lessard as Almirena was angelic. Her coloratura effortless and pure, and so well-suited to this style of music. Her rendition of “Lascia ch’io pianga” was done with such sensitivity - her ornaments were subtle and tasteful, and the whole piece was pure brilliance. Her duet in Act 1 with Nemzer was beautiful, the blend of voices so well done, with such a lovely balance that it was one of the highlights of the show. 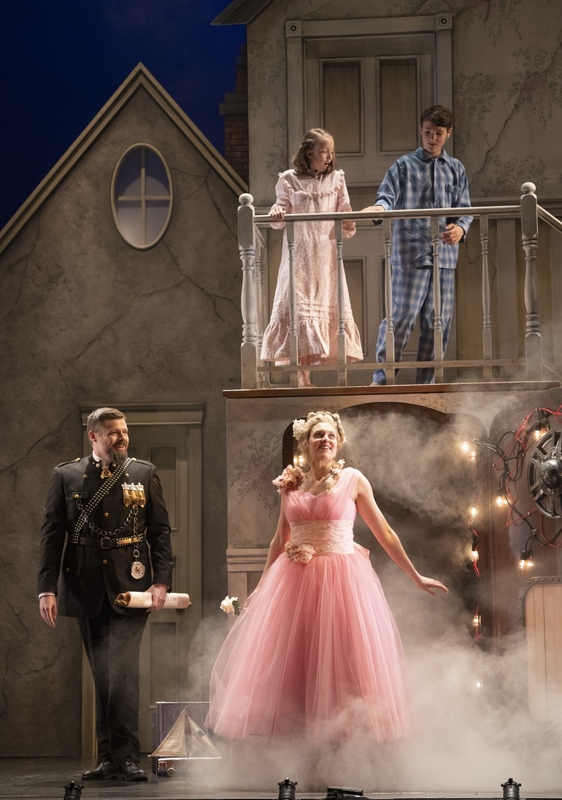 Jennifer Taverner (Armida) in Pacific Opera Victoria’s production of Rinaldo, April 2018. Photo: David Cooper. 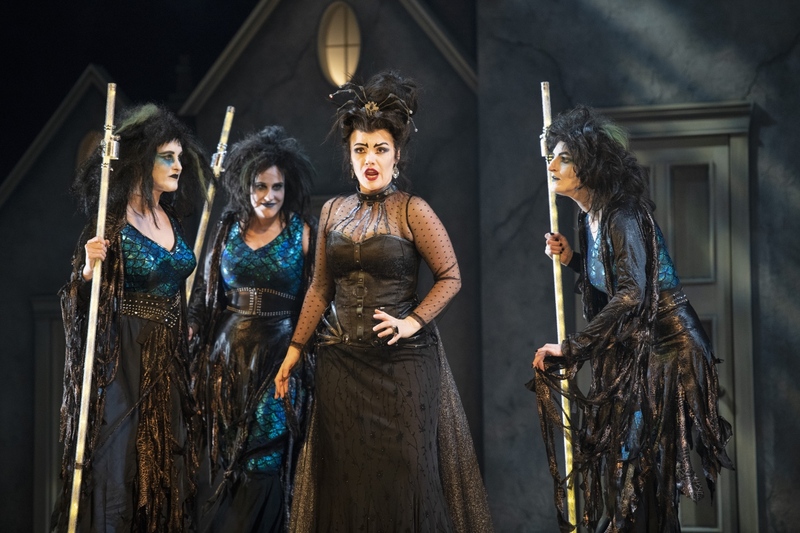 Soprano Jennifer Taverner as Armida (in this rendition portrayed as an evil spider queen) brought great menace to the role, as well as a great sense of comedic timing in her attempts to seduce Rinaldo in a glowing purple LED dress. Vocally she was very powerful - innovative in her cadenzas, with an incredibly pure tone and brilliant precision. Andrey Nemzer (Rinaldo) and Stéphanie Lessard (Almirena) in Pacific Opera Victoria’s production of Rinaldo, April 2018. Photo: David Cooper. Baritone Christopher Dunham was amazing as Argante; vocally he was incredibly strong, without losing any weight from his voice even in the difficult coloratura passages that he navigated so well. His characterization of the villain was both menacing and comedic in equal measure, and his seduction of Almirena was great, but his on-again/off-again relationship with Armida was incredibly funny. The set and props people absolutely deserve a mention here. From a bed of roses falling like darts from the sky, to the watering can filled with glitter, to the crystal sparkle rain, to the Volcano house, the whole show was absolutely magical, and the little touches in the props and set pieces were whimsical and fantastic! Andrey Nemzer, left (Rinaldo), and David Trudgen, top right (Goffredo) in Pacific Opera Victoria’s production of Rinaldo, April 2018. Photo: David Cooper. The orchestra under Timothy Vernon was superb - led with great finesse that never overshadowed the voices, and full of lovely touches, like a sopranino recorder solo as a bird, and a blistering harpsichord solo that brought the house down. The stage direction of Glynis Leyshon was dynamic and thoughtful, with great use of a small space, and movement that was dynamic, interesting, and an absolute pleasure to watch. David Trudgen (Goffredo) and Bruce Kelly (Magician/Sorcerer) in Pacific Opera Victoria’s production of Rinaldo, April 2018. Photo: David Cooper. This entire production is one of the most clever, imaginative productions I ever remember seeing, and I can’t recommend it highly enough. If this is where Baroque opera is going, consider me a convert!